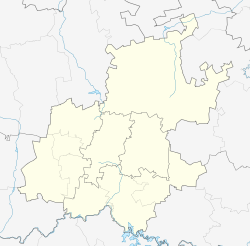 Illovo is a suburb of Johannesburg, South Africa. It borders Hyde Park, Sandhurst, Inanda and Melrose. Illovo is also home to many young professionals and creatives because of its close proximity to Sandton and Johannesburg business centres and many affordable apartment blocks. 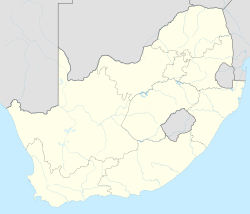 It is located in Region E of the City of Johannesburg Metropolitan Municipality. The name is related to the isiZulu word 'Indlovu', meaning elephant. Wanderers Stadium is located in Illovo, which is home to the Highveld Lions, Johannesburg's cricket team. Capacity at the Bidvest Wanderers Stadium is around 27 000. Construction on the current stadium commenced in 1955 with the first 1st-class match played between Transvaal and Natal on 16, 17 and 19 November 1956. ^ a b c d "Sub Place Illovo". Census 2011. ^ "Illovo". illovo.com. Retrieved 2016-07-30. This page was last edited on 9 April 2019, at 13:25 (UTC).